Deer Class travelled on a coach to West Somerset College Farm. 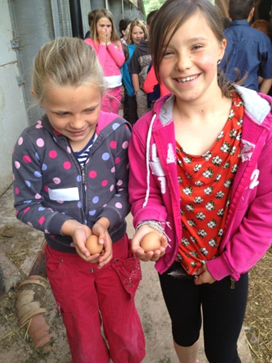 They had a great morning looking around the farm, seeing the chickens, pigs and ponies. 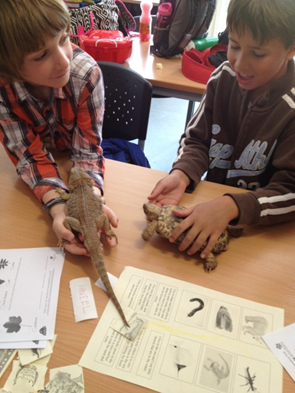 They then carried out workshops on woodland bush craft, the habitats of exotic animals and horticulture. 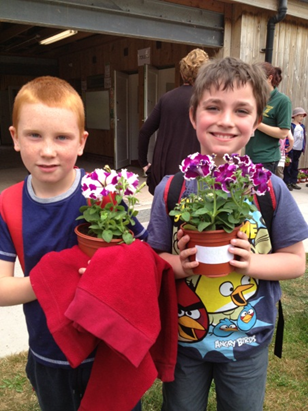 They all potted their own petunias to take home! After lunch, they walked from the farm though Conygar Woods to the medieval village of Dunster. In Dunster they investigated the yarn market and packhorse bridge known as Gallox Bridge and then played in the natural play area in the castle grounds before heading back to school. They had a fantastic day! 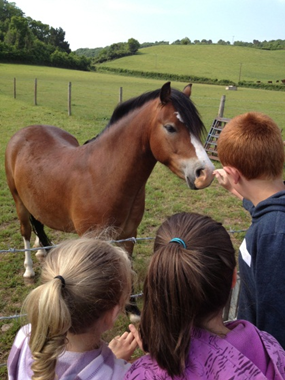 The rain held off until they were back on the coach thank goodness, and we would like to thank all the staff at the West Somerset College Farm and Mrs Huntley and Mrs Hayes for coming with us.